A fresh batch of exploration results has Northern Star Resources optimistic about the future of its Pogo gold mine in Alaska. 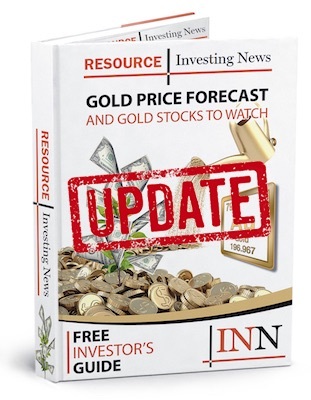 A fresh batch of exploration results has Northern Star Resources (ASX:NST,OTC Pink:NESRF) optimistic about the future of its Pogo gold mine in Alaska. The campaign used four underground rigs and four surface rigs, and its efforts allegedly point to a “significant” increase to Pogo’s current resource of 8.8 million tonnes at 14.7 grams per tonne (g/t) for 4.15 million ounces of gold. An additional AU$15 million has been set aside for exploration drilling in the second half of the 2019 fiscal year, with four extra underground rigs having been brought to the site last month. The drilling conducted was able to extend Pogo’s Liese vein system, along with the South Pogo vein system and the X-vein/North Zone area. Liese vein results include 5.8 meters at 59.7 g/t, while South Pogo features 8.7 meters at 17.5 g/t and X-vein/North Zone saw 4 meters at 40.7 g/t. Initial extension drilling also took place in the Fun zone, with results including 4.9 meters at 14.8 g/t. Additionally, the drilling and exploration campaign uncovered the Central Lodes vein system, located approximately 800 meters from existing mine infrastructure. Defined over a strike length of approximately 650 meters and a downplunge of 500 meters, surface drilling indicated significant intersections, including 2 meters at 175.3 g/t from 410.4 meters. “Many of these exceptional drilling results come from outside the existing resource and clearly pave the way for a significant increase in the mineral resources,” Northern Star Executive Chairman Bill Beament said in Tuesday’s statement. The company anticipates releasing a maiden JORC reserve for Pogo in mid-2019, with a maiden resource for the Central Lodes system expected around the same time. Northern Star already has approvals ready to go for exploration and production at Central Lodes. According to its financial results for the six months to December 31, released Wednesday (February 13), the company saw revenue of AU$633.5 million — with Pogo’s acquisition helping “underpin” a 43-percent increase from the previous corresponding period. The results also show Northern Star invested a record AU$83 million in exploration and expansionary capital, AU$10 million of which went to Pogo. “As yesterday’s announcement demonstrated, the exploration results we are generating at Pogo are world-class and will help us achieve our objective of growing mine life, production and cashflow there,” Beament said in Wednesday’s release. Northern Star’s share price was up 7.47 percent at the end of trading on the ASX on Wednesday, ending the day at AU$9.64.